Registration is now closed. Please do not contact our volunteers asking for late entry. The next Trail Running SA event is Sturt Gorge – we would love to see you there! 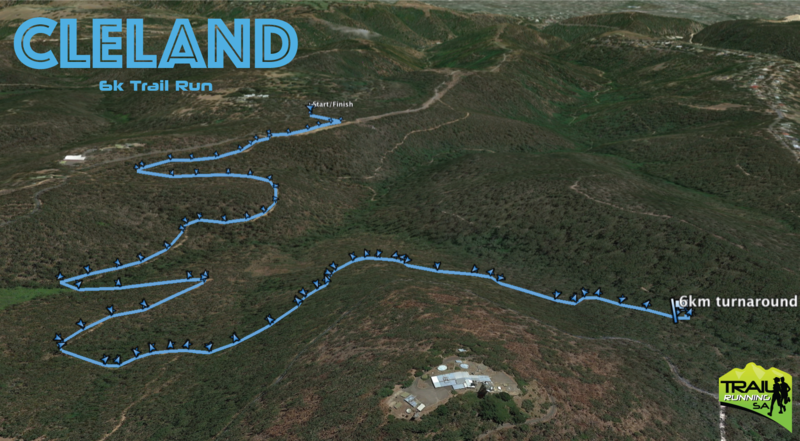 The Cleland SA Trail Running Championship on 24 April includes three sub-events, measuring approximately 25km, 12 km and 6 km. The first is for runners 16 years and older only and is the championship event. The shorter sub-events are for runners and walkers of any age. 5 Water stations along the 24 km course. FREE professional photography of each entrant. 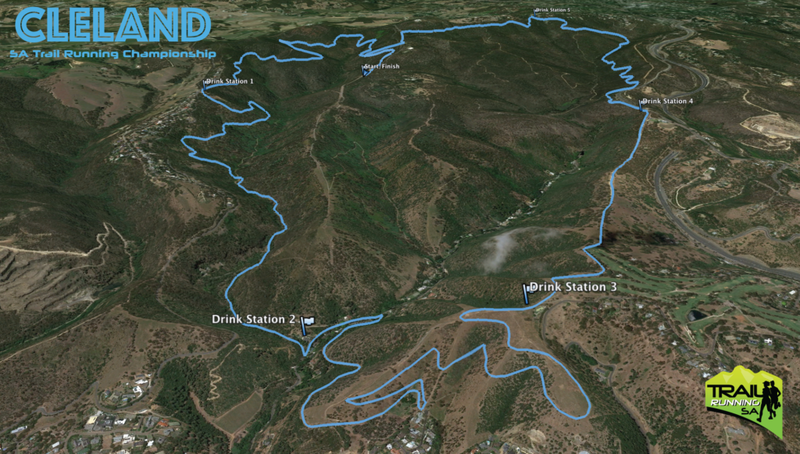 Trail Running SA will also be giving away 3x free entry codes to our following event, Sturt Gorge. Cancellations and changes: Due to the additional workload placed on our volunteers to process each change or cancellation, there will be a $10 fee plus any price difference for changes or cancellations. You will not be refunded the price difference if transferring to a cheaper category. There will be no changes or registrations after the final registration cutoff at noon on Friday before the race – no exceptions. There is limited parking at Cleland! We require a minimum of 2 entrants in each car that parks at the Cleland car park, ideally 3 or 4 so please carpool. The Crafers Park n’ Ride car park. If you are offering a lift you can drive through the parking area and pick up people. If you are requesting a lift then you can stand around in these places, waiting for an offer. If you don’t have a ride back arranged, this can be arranged immediately after presentations. There are also lots of people arranging lifts and carpools from various locations on the event facebook wall. The Running Company along with Salomon and Suunto will be on hand with a fleet of demo shoes to try out for the event, AND demo running watches with the course loaded in. These will be handed out on a first in, first served basis so get in early to avoid missing out. These guys will also have a range of product for you to check out and purchase on the day. ioMerino will also be on site with their tent with some product to touch and feel and purchase if you like. Head over to the registration page to enter now. Entries close Midday (noon) Friday, 22 April, 2016. There will be no race-day registrations. You must register in advance using the link above. a walker you must walk the whole way. If you want to run/walk, you must enter as a runner. Scroll Down to the bottom of this page to see the course maps. The course will be marked. Please note that the course will be progressively closed at 9min/km pace from 8:00am (for the 24 km event) and 8:30am (for the 12 km event). Finish area closes at 11:40am. You are welcome to continue running beyond this, however you will need to time yourself and will need to carry your own water. If you wish to let us know what time you came in at and have it included in the results, email us at events@trailrunningsa.com after the event. The Cleland Wildlife Park car park. Printed names on bibs: If you want your name printed on your bib then your entry must be received by Midnight Sunday April 3rd. Bibs will not be mailed out and will be available for pickup on the morning of the event. Please allow sufficient time to pick up your bib and chip. We recommend arriving 30 minutes to 1 hour prior to the event start time in order to allow plenty of time to pick up your bib. You need to pick up both a bib and ankle chip on the morning of the event. Step 1: On arrival, go straight to the “ENTRY DETAILS” display boards. All entrants will be listed and sorted by surname. Find your name. Check that your entry details are correct, especially the race and category you have entered. Remember your race number and start time. Step 2: Go to the “RACE NUMBER BIBS” baskets (all numbers are filed numerically). Find your race number and take it out. Note: don’t worry if the colour you have is different to a friend who is doing the same event. We are using 2 colours for one of the events. Step 3: Go to the “CHIP COLLECTION” trestle. Show your race number to collect your timing chip. Tell staff if any of your entry details are wrong. At the end of the race, return your timing chip as it is NOT disposable and must be returned. If you return your bib and hang around for presentations you will be included in the prize draw. They are not disposable & must be returned. If you do not start or finish you must return the chip to officials at the finish line. If you finish, officials will take the chip from you at the finish line. Your timing chip is in a blue plastic housing attached to a velcroed band. Strap the band to your left ankle with the blue housing facing out. Test that it is secure. If you are not happy with the velcro grip, exchange the band for a new one at Registration. Your time and number are recorded when you step on a timing mat. Dead heats are decided by the first chip to be detected ie left foot on a timing mat. When you cross the finish timing mat, walk & stay in order in the finish chute. Your chip will be removed by officials at the end of the chute. If you do not finish you must return your chip without crossing the finish mat & tell finish line officials that you did not finish. The championship course is a demanding one down Chambers Gully to Waterfall Gully Road then ascends the scenic slopes of Mt Osmond along the Pioneer Women’s Trail. The 12.3 km event is a loop course with a more challenging descent down to the Chambers Gully and ascent up the Bartril Spur Track to the Long Ridge Track to the finish. 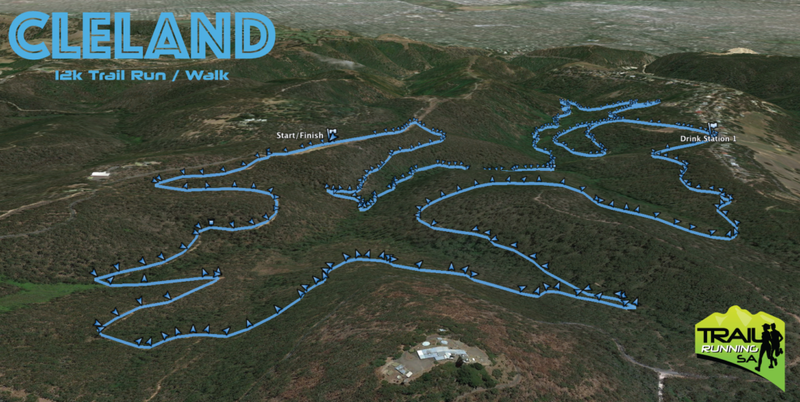 The 6 km event is an easy out and back course along the beautiful forest trails of the Wine Shanty Track.